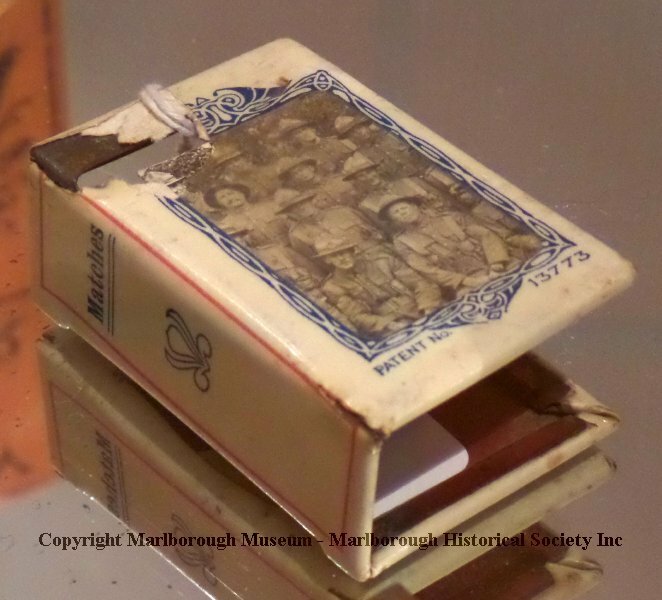 1 x tin matchbox cover. Has a covering of white plastic with a black and white picture of WW1 soldiers on one side and "Patent No. 13773" at the bottom. The side doesn't have a striking area but says, "Matches" with a stylised flower below the word. The other side has a coloured picture of four flags.